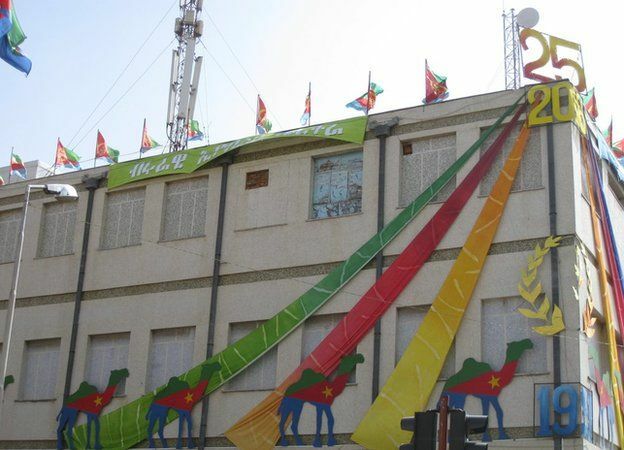 This week marks 25 years since Eritrea gained independence from Ethiopia in a conflict which lasted three decades. Rights groups criticise the East African nation for its lack of democracy, media freedom and its policy of forced conscription, which can last for many years. 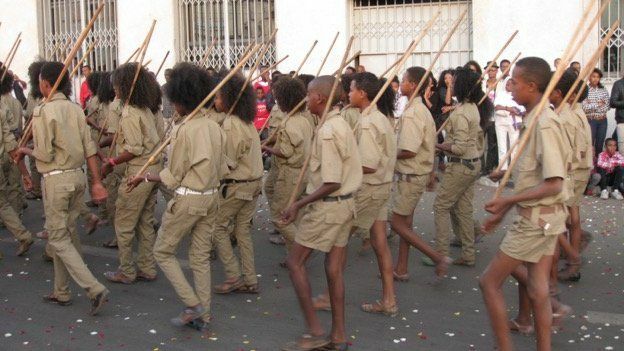 But the Eritrean government has organised huge celebrations. 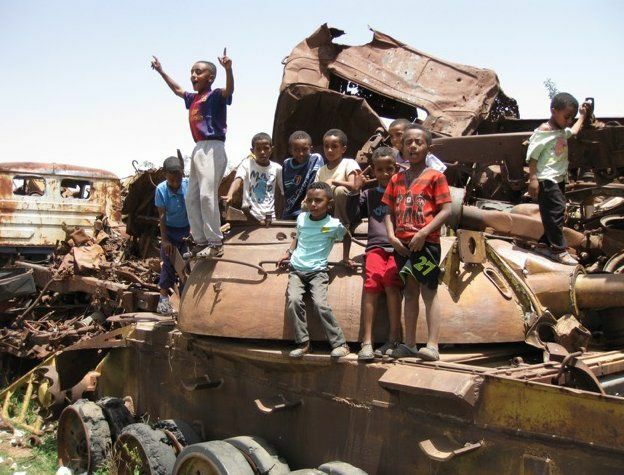 Long rows of rusting tanks and other military vehicles, which were captured from Ethiopian forces, fill a field outside the capital. 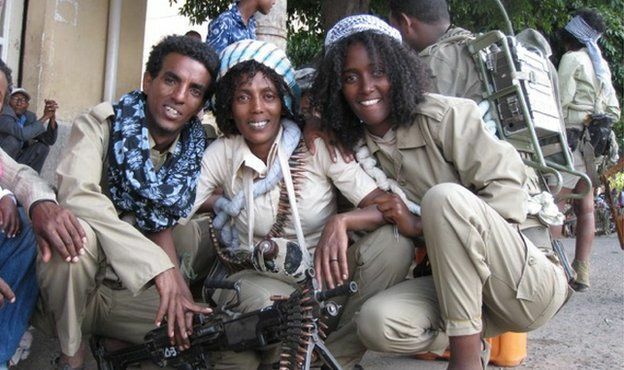 Eritrean rebels were fighting a far more powerful and better equipped army. 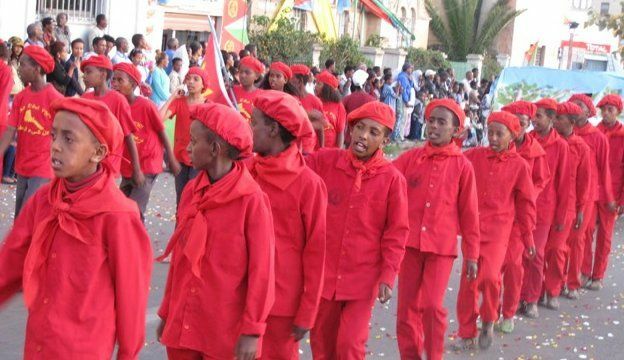 At a carnival in the capital, Asmara, people re-enacted key moments from the war. 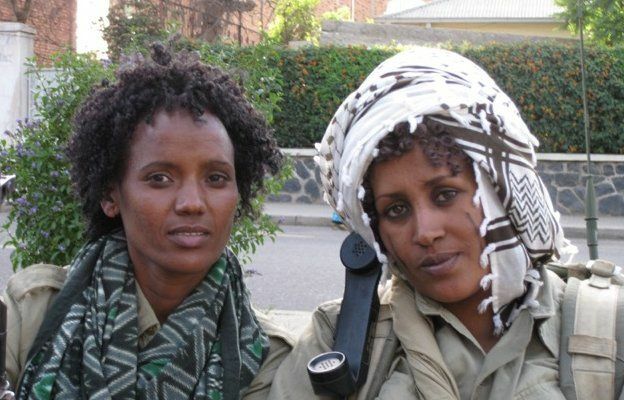 Tens of thousands of Eritrean women fought alongside men in the war for independence, making up more than a quarter of the army’s fighting force by the end of the conflict. When women joined the army, their long hair was cut off into an Afro-style. Children born to female soldiers were known as Red Flowers. People told me the young would be separated from their parents and raised in communal creches so their parents could keep fighting. Many buildings across the country have been festooned with decorations for Independence Day. At an exhibition about the conflict, this bra is one of the items on show. 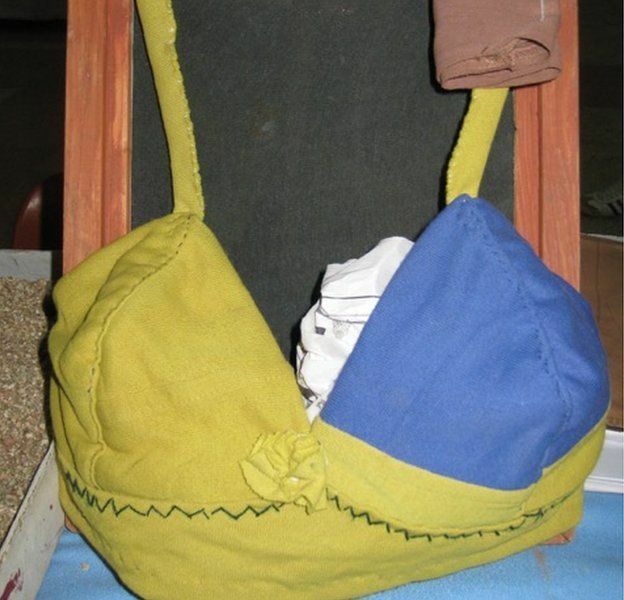 Made by hand from scraps of cloth, it is an example of the creative self-reliance Eritrean fighters had to practise, given the extremely limited resources they had. 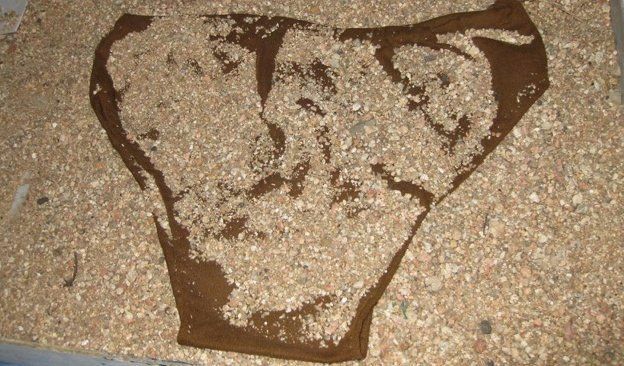 Along with the bra, a pair of pants is also being exhibited. One way to kill lice, which were rife among soldiers, was to bury clothes under small stones, a war veteran told me. There was very little water to wash clothes. He said soap was in such short supply that there was a “special punishment” for anyone who lost a piece of soap. When wounded Eritreans left hospital to go back to the front, they often had no shoes. 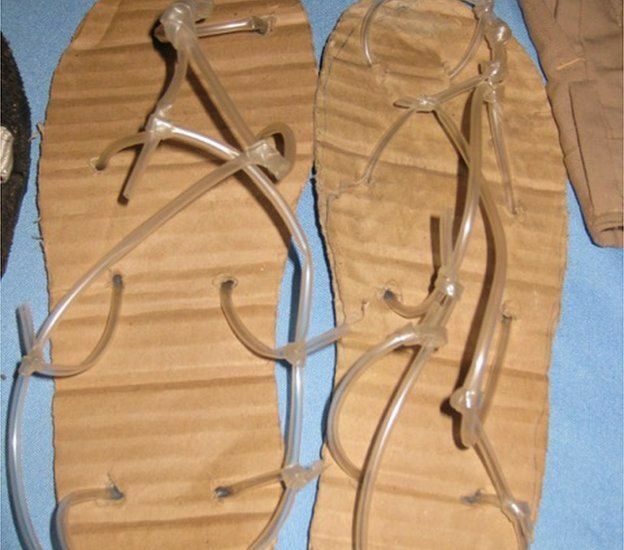 Doctors in the underground hospitals made them temporary shoes out of cardboard and the tubing used for drips. 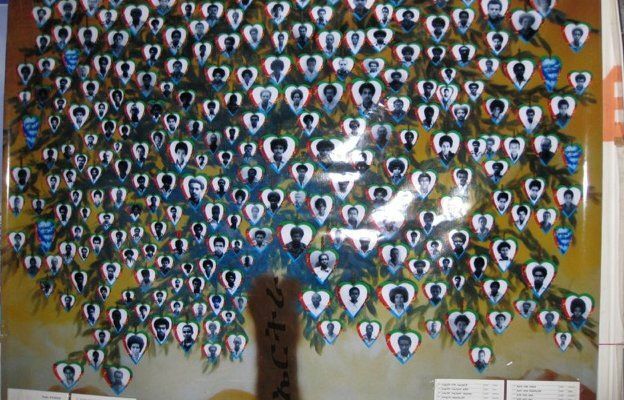 This tree bears the photos of 264 “martyrs” who were killed in the space of five days as the Eritrean rebels made a final push into the capital, Asmara, in 1991. In 1998, fighting resumed between Eritrea and Ethiopia. Thousands were killed on both sides during the two-year border conflict, which remains unresolved. 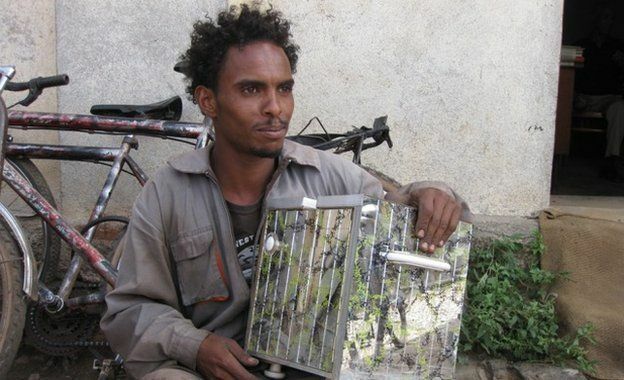 Eritrea still takes great pride in its self-reliance and there is a special market in Asmara where metal is recycled into everything imaginable. Old oil drums are made into plates. Rusting heaps of metal are “rewound” to be converted into combs, hair pins, Christian crosses, gutters and other items. 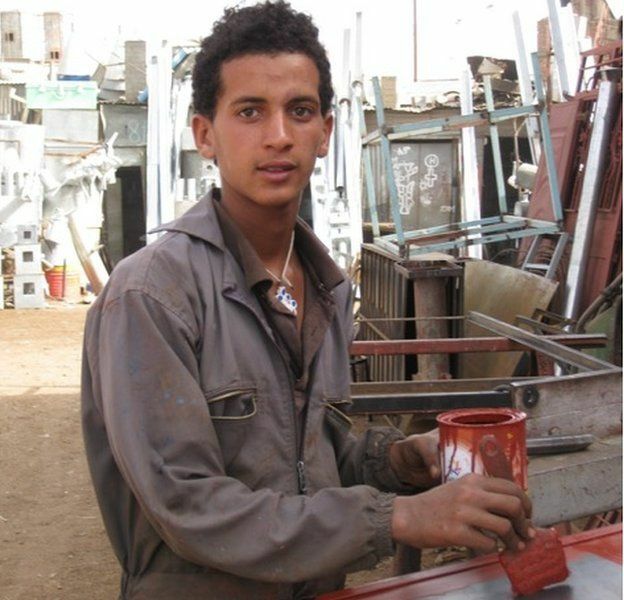 This young man is working on a gate made using the same technique. Many of the men in the market said they were still in “national service”, some after nine or 10 years, and were working in the market to supplement the small wages they received from the army. 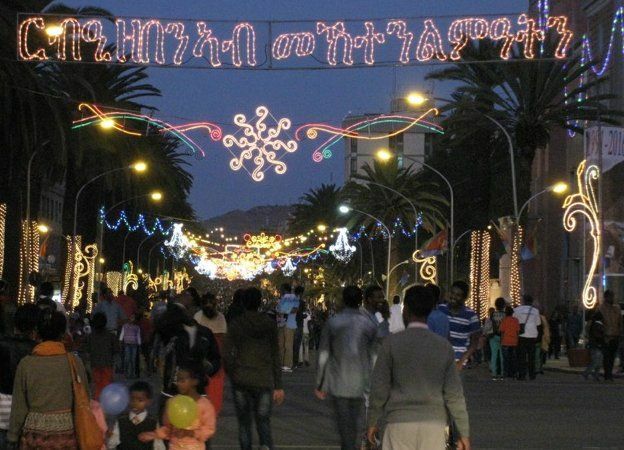 Asmara’s central boulevard has been decorated with special lights for the occasion. Even though Eritrea is known as a place people run away from, thousands of people from the diaspora have come home to join the party. In some ways, Eritrea seems frozen in time. Many buildings are in the Modernist and Art Deco style of 1930s when the country was colonised by Italy. 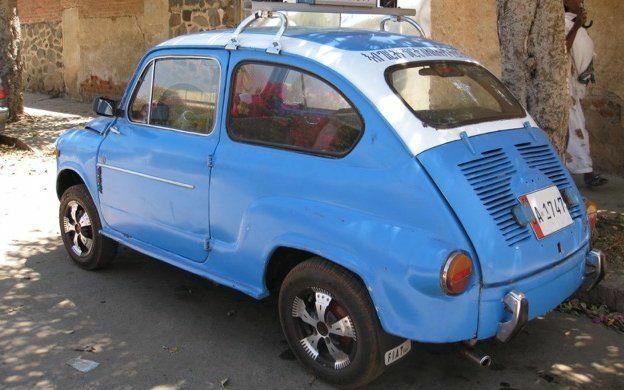 Some of the cars are old and Italian too. 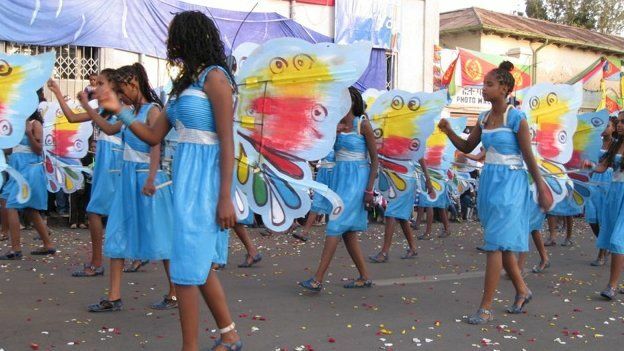 Although the carnivals and parades held for the Silver Jubilee have been a joyous occasion for many Eritreans, everyday life remains tough for many. The wars with Ethiopia, targeted sanctions and international isolation have hit the country hard. But things are beginning to change. Eritrea is opening up, albeit slowly. It is making more friends, especially in the Arab world. And there is increased foreign investment, especially in the mining sector. Despite this, the UN says as many as 5,000 Eritreans flee their country every month, many of them young men. The European Union says more Eritreans come to Europe than from any other African country, many fleeing years of conscription, although the Eritrean authorities deny this.